Keep checking here for current news of White Plains LWV. This is still the official primary website of the LWV of White Plains. The League of Women Voters, a nonpartisan political organization, encourages informed and active participation in government, works to increase understanding of public policy issues, and influences public policy through education and advocacy. Any person of voting age, male or female, may become a League member. --More effective use of Web and social media – migrate to LEW, active Twitter feed and Facebook page, Pinterest, etc. Fixit Forum read> about the forum held April 3, 2016, on single-payer healthcare. A Must Read for League Members, and especially important in this Election Year! The Board of the White Plains League of Women Voters has adopted a new Non-Partisan Policy in February 2016. 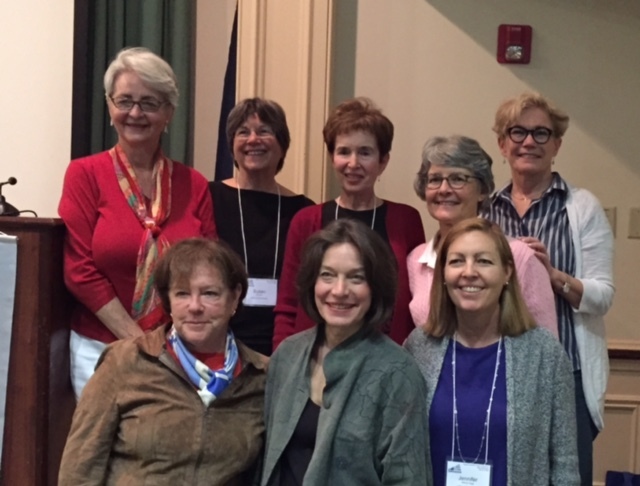 The LWVWP Board of Directors meets monthly from September to June. Board meetings are open to all LWVWP members. Please notify Stephen Cohen, stephen435@optonline.net prior to the meeting if you wish to attend. Daytime meetings are 1:00- 3:00pm and are held at the homes of LWVWP board members as shown below. Evening meetings are 7:00-9:00pm and will be held at The Ambassador of Scarsdale, 9 Saxon Wood Road, White Plains, NY. "LWV Presents" shows taped LWV programs. This link takes you to the listing of currently available tapes. Click on the one you want to see. OUR SINCERE THANKS TO WATPA AND THE WESTCHESTER LIBRARY SYSTEM FOR HOSTING OUR SITE.